Below is a current price list and description of a traditional burial service with our funeral home, as well as, prices of our local competitors. Prices updated as indicated on each price sheet. 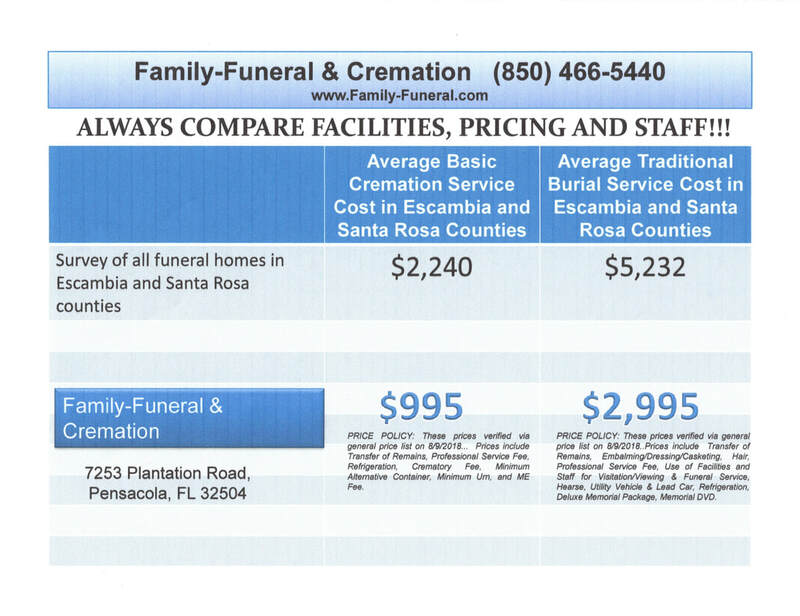 Below is a current price list and description of a basic cremation with our funeral home, as well as, prices of our local competitors. Prices updated as indicated on each price sheet.